Leave a comic, take a comic. As simple as that. A great way to revitalize your reading list! Bring your duplicates! 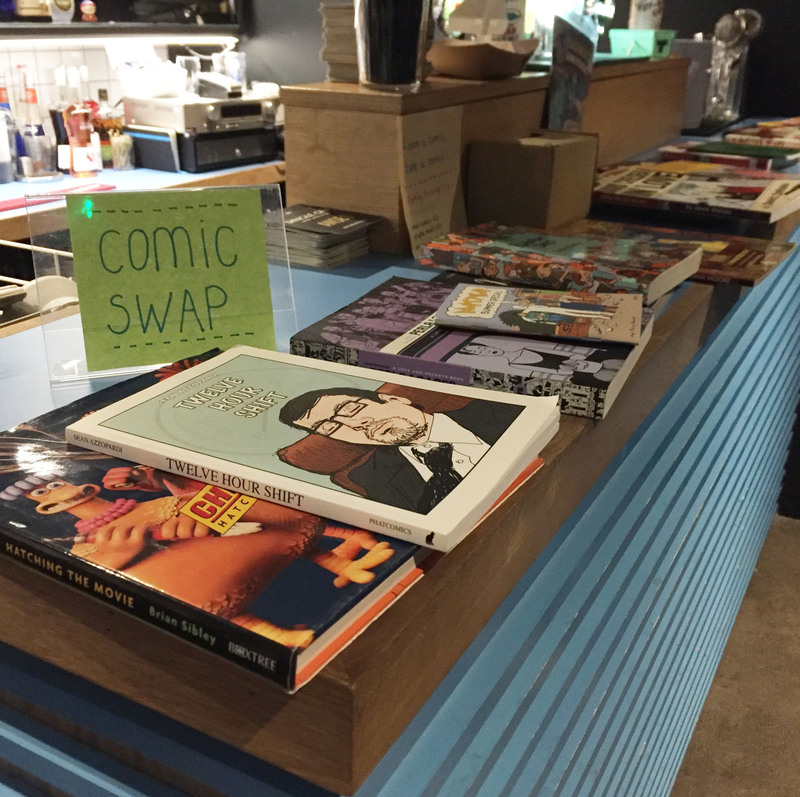 Bring your damaged (but still readable) comics! 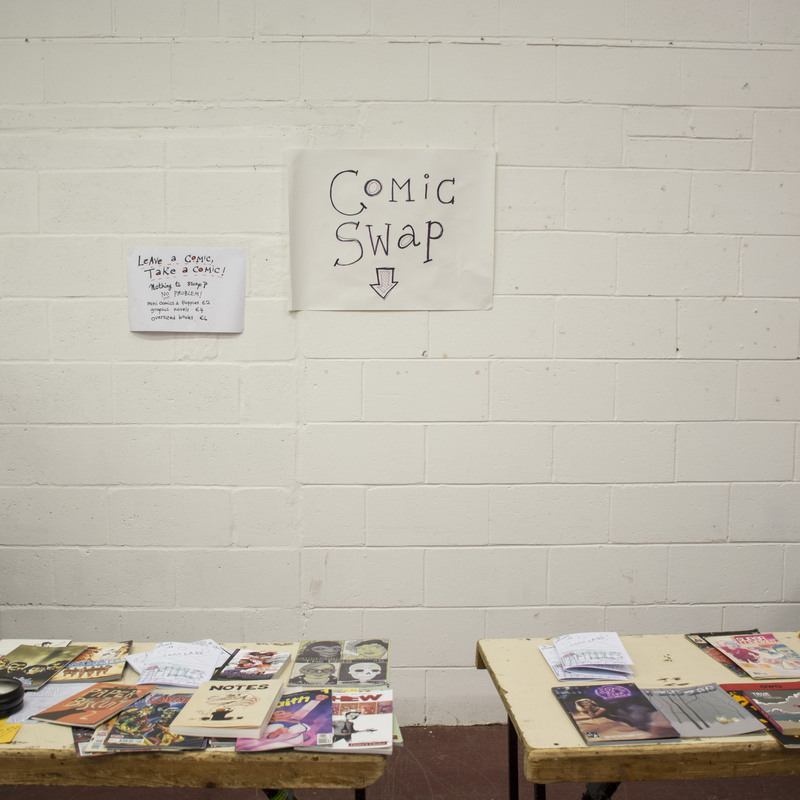 Bring the mountain of mini-comics that seem to multiply after every con! 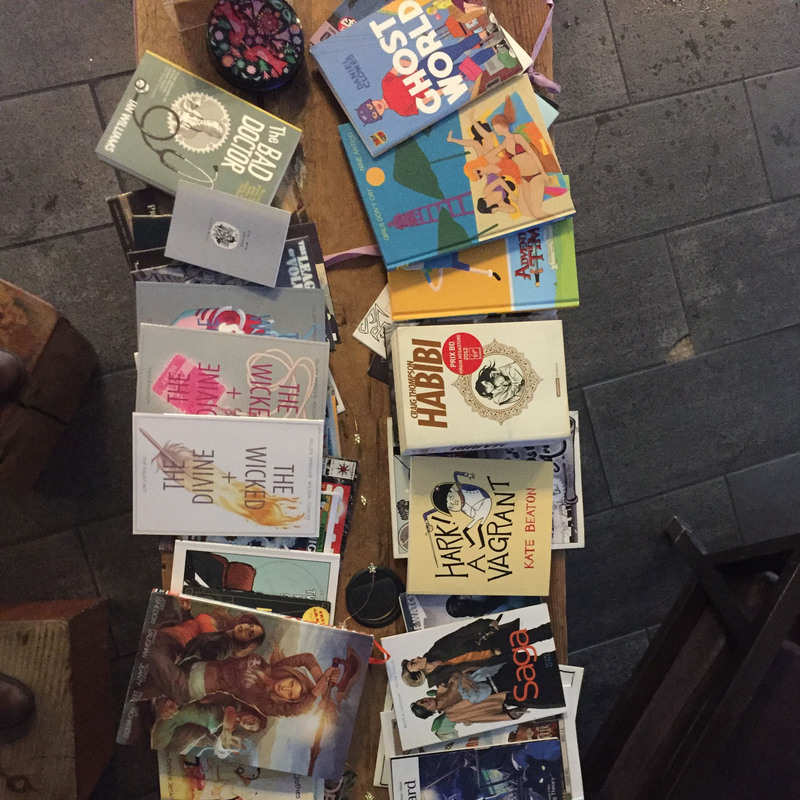 Bring the comics that are intense and beautiful but you only have the emotional stamina to ever read once! Bring the oversized editions and art books you have no room for! Bring all the comics that you preordered and were looking forward to but left you wanting when you finally read them, after all, one person's trash is another's treasure! Free up some space for more comics! Not a problem! 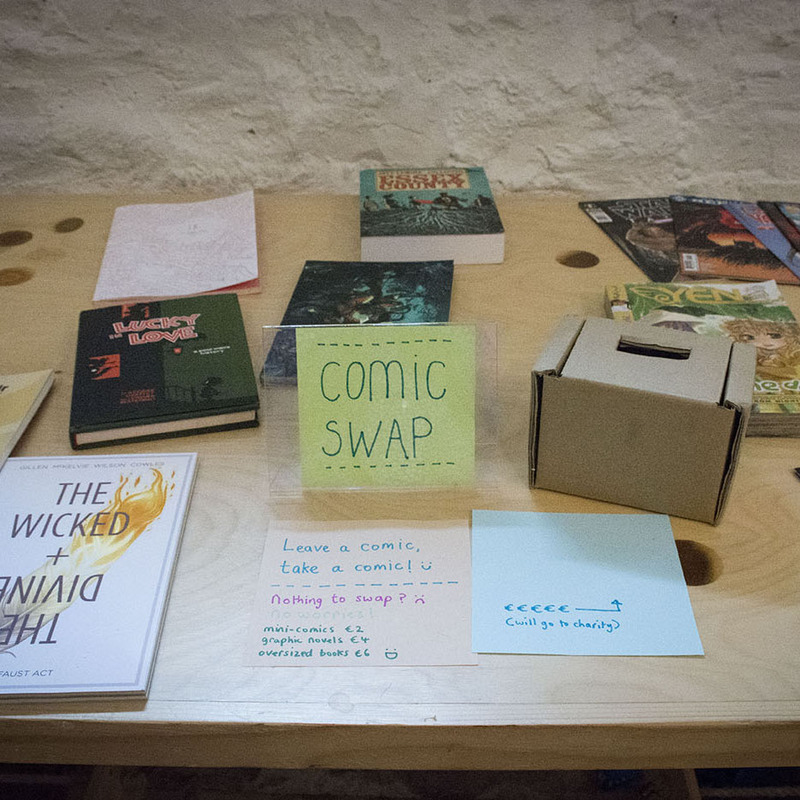 If you're empty handed but see a book you want you can donate to The Comics Lab in lieu of a swap.